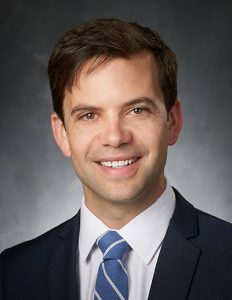 CRL welcomes Neuroradiologist, Dr. Matthew Sondag! MINNEAPOLIS, July 11th, 2017 — Dr. Matthew Sondag joins CRL as a neuroradiologist. Dr. Sondag received his undergraduate degree in biochemistry, from the University of Wisconsin – Madison. He went on to complete his medical degree from Northwestern University Feinberg School of Medicine in Chicago, IL. Dr. Sondag then traveled to the University of Colorado’s Anschutz Medical Campus in Aurora, CO to finish an internship in internal medicine. Dr. Sondag went back to Northwestern in 2012 to complete a residency in diagnostic radiology and also worked as a moonlighter at Mount Sinai Hospital in downtown Chicago. Following his residency, Dr. Sondag completed a fellowship in neuroradiology at the University of Southern California (USC) in Los Angeles. Outside of work, you can find Dr. Sondag cycling, long distance running, or in the cold winter months, reading a good book and listening to music. Previous: CRL welcomes Diagnostic Radiologist, Stephen Pearson, MD! Next: CRL welcomes Diagnostic Neuroradiologist, Dr. David Durand!